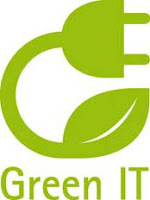 The hottest topic in some famous IT articles/magazines in early 2008 is GreenIT. For examples InformationWeek, February 2008, give headline “Energy Crisis” and eWeek ran a story in March called “Watt a Shock” (John J. "Jack" Mc Gowan, 2008). World is getting hotter day by day. Global warming becomes hot topic in many conversations. Information Technology include as the “person” who gives contribution in adding carbon dioxide – causes of global warming. Some research said that IT use bigger resource compare with the airline industry. Bad waste management, inefficient use of electricity, inefficient usage of server, will contribute greater bad effect to the environment. There are some solutions has developed, such as: virtualization technique, power generation alternatives, power management, newer hardware, materials recycling and mobility efficiency. There would be initial cost to implement some/all of those techniques. Some companies do not want to spend some capital for this project. And some company thinks this is important, but not necessary to do it now, there are still many urgent projects to be done. Most businesses aren’t about to spend more money than they have to for eco-friendly IT measures. They will do so only if the payback is there—if the green of dollar savings matches the green of environmental benefit (Gibson, 2008). Similar with conducting business ethics, Green IT will give long term and sustainable benefit for the company. By spend initial cost to create Green IT, company will get saving cost such electrical, IT resources and telephone bill in long term. In the other hand, the environment will be well taken care. For every layers of the company; small, medium or enterprise should think to start the Green IT to get double side solution: cost reduction and environment friendly.